I am still having fun! I have so many more ideas for dyeing that I am back to it! 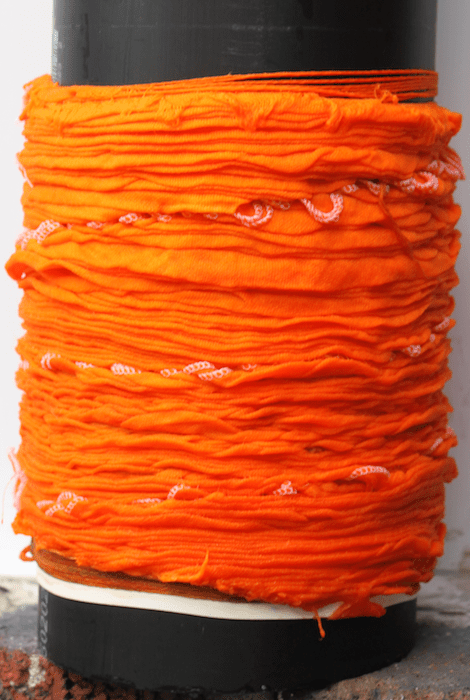 This beautiful orange Arashi Shibori or pole wrapped piece unwrapped into a beautiful cream and orange scarf. It reminded my husband of a favourite childhood ice cream treat – the Creamsicle! Here it is partially unwrapped, once washed it is a softer colour. I was asked to make a scarf similar to the Arashi Shibori scarf in raspberry that I wrote about in July. I didn’t keep track of the colours I mixed to create that shade and was challenged to recreate the colour. They aren’t exactly the same, but very similar. 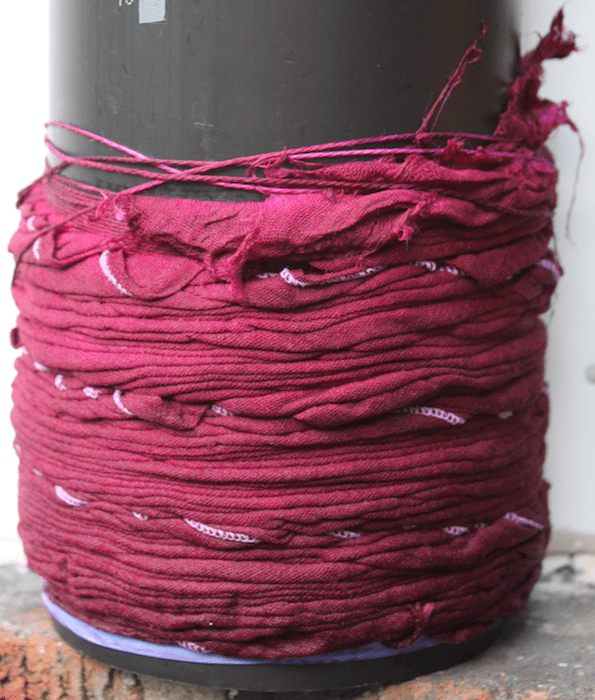 When I first unwrapped the raspberry coloured scarf, washed and dried it, the colour and veining reminded me of radicchio. Radicchio is a beautiful Italian chicory lettuce that grows in a tightly wrapped ball. The leaf is a purpley red while the veins are white. Next time you are at the grocery store look for it – the colour is gorgeous. 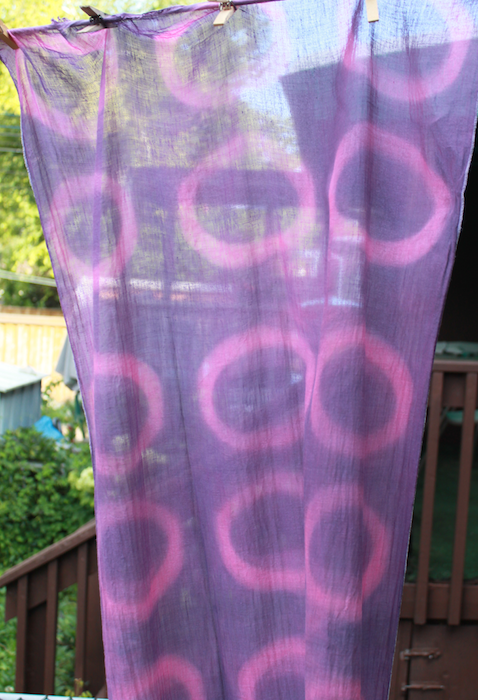 I am also dyeing scarves in a silk/cotton blend and a linen/rayon blend. I’ll have more photographs of those scarves as well as some velvet that I’ll be making into pillows.